Serotonin is a neurotransmitter that helps regulate a lot of your bodily functions. Along with melatonin, serotonin is especially involved in your sleep cycle. Melatonin helps you fall asleep, while serotonin helps you wake up feeling refreshed. At least, that's what they do in people who are fortunate enough to have the right amount. A growing pool of research suggests that people with fibromyalgia (FMS) may have low levels of serotonin or low serotonin activity. Experts are split, however, as to whether serotonin levels are high or low in people with chronic fatigue syndrome (CFS or ME/CFS). Some studies show that the problem in ME/CFS may lie in low serotonin-receptor activity, which could mean that the brain isn't using serotonin properly, even if plenty is available. 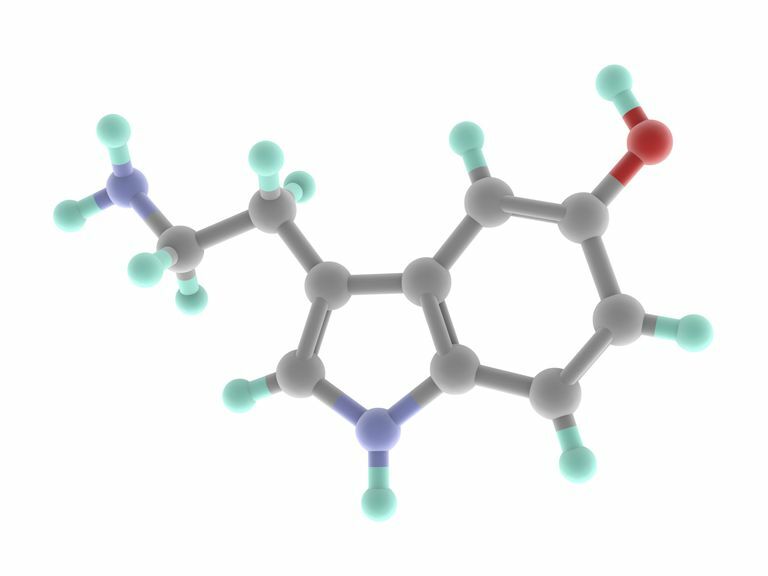 A newer study suggests a possible autoimmune reaction to serotonin. Serotonin activity takes place in several areas of your brain, and even elsewhere around the body (where it acts as a hormone). Those different areas of your brain use serotonin differently, and they also contain several different kinds of receptors that also influence how serotonin is used. Several disorders improve with medicines that increase the availability of serotonin, including depression, insomnia, restless leg syndrome, irritable bowel syndrome, headaches, obsessive-compulsive disorder, anorexia, bulimia, social anxiety, phobias , Attention Deficit Disorder (ADD/ADHD), post-traumatic stress disorder, and alcoholism. Naturally occurring high levels of serotonin aren't associated with many symptoms. However, taking too much of a drug that raises serotonin levels can cause a dangerous condition called serotonin syndrome. If you suspect serotonin syndrome, you should get emergency medical help as soon as possible. With treatment, serotonin syndrome typically resolves within a few days. In rare cases, it can be fatal. Several prescription drugs on the market increase the amount of serotonin that's available to your brain. In people with FMS and ME/CFS, the most common ones are selective serotonin reuptake inhibitors (SSRIs), such as Prozac (fluoxetine), Paxil (paroxetine) and Zoloft (sertraline); or serotonin norepinephrine re-uptake inhibitors (SNRIs) such as Cymbalta (duloxetine) and Savella (milnacipran), which are two of only three FDA-approved fibromyalgia treatments. The simplest way to boost serotonin levels is by getting more sunlight. While it's generally safe to experiment with these kinds of foods, don't expect miracles and avoid extreme changes to your diet. Be sure to make changes slowly, and track your dietary changes and symptoms in a symptom journal to get an accurate gauge of what may be helping. You should always work with your doctor to decide what methods to try and how successful your treatments are. Amino Acids. 2008 Jan 15. [Epub ahead of print] All rights reserved. "Theanine, gamma-glutamylethylamide, a unique amino acid in tea leaves, modulates neurotransmitter concentrations in the brain striatum interstitium in conscious rats." Goldstein, J. Alasbimn Journal2(7): April 2000. AJ07-5. "The Pathophysiology and Treatment of Chronic Fatigue Syndrome and Other Neurosomatic Disorders: Cognitive Therapy in a Pill." Maes M, et al. Journal of affective disorders. 2013 Sep 5;150(2):223-30. In myalgic encephalomyelitis/chronic fatigue syndrome, increased autoimmune activity against 5-HT is associated with immuno-inflammatory pathways and bacterial translocation. Smith AK, et al. Psychoneuroendocrinology. 2008 Feb;33(2):188-97. Genetic evaluation of the serotonergic system in chronic fatigue syndrome. 2007 The Trustees of Columbia University. All rights reserved. "Serotonin and foods?"